In 1968 the world experienced a brand-new kind of terror with the debut of George A. Romero's landmark film Night of the Living Dead. This was something new...and terrifying. Since then, zombies have invaded every aspect of popular culture. But it all started on that dreadful night in a remote farmhouse. Nights of the Living Dead returns to that night, to the outbreak, to where it all began. In "Long Way Home", a young soldier returns from the Middle East and discovers that there is another - and much stranger - war to be fought in his hometown. In "Mister Pockets" a young paperboy discovers that a random act of kindness may have greater consequences - especially as night falls in Pine Deep. Enjoyable way to spend some downtime. Rain Thomas is a mess. Seven years an addict and three difficult years clean. Racked by guilt for the baby she gave up for adoption when she was 16. Still grieving for the boy’s father who died in Iraq. Alone, discarded by her family, with only the damaged members of her narcotics anonymous meetings as friends. Them, and the voices in her head. One morning, on the way to a much-needed job interview, she borrows reading glasses to review her resume. Are you laid off, downsized, undersized? So reads the business card from LIMBUS, INC., a shadowy employment agency that operates at the edge of the normal world. LIMBUS's employees are just as suspicious and ephemeral as the motives of the company, if indeed it could be called a company in the ordinary sense of the word. 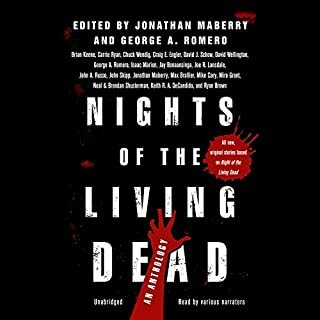 In this shared-world anthology, five heavy hitters from the dark worlds of horror, fantasy, and sci-fi pool their warped takes on the shadow organization that offers employment of the most unusual kind to those on the fringes of society. One thing's for sure - you'll never think the same way again about the fine print on your next employment application! Love the book, needs a better narrator. The narrator is so bad it makes my brain hurt. Mispronounced words are cringeworthy enough, but this man has clearly never met a punctuation mark that he didn't hate. Seriously, he made half the book sound like a run on sentence. And slow down, dude! This isn't a speed reading competition. You're narrating, not trying to punch a speed bag. I don't normally write reviews, but I felt compelled to do a review on this book. I really wanted to like this book but the narrator just destroyed it. the story was interesting enough for me to listen to at least half of the book. the narrator however was complete garbage and destroyed the story. half the time I would get lost because the narrator would not pause at the appropriate times and I have to catch up to scene changes and everything else. I can't stress this enough. the narrator sucked. I can't believe he got paid for this. not only that I can't believe in made through the final edits with this type of narration. did I mention how horrible the narrator was? 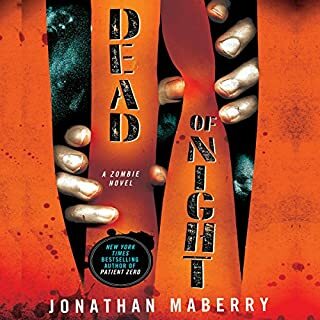 I'll listen to plenty of books and have not been able to finish some of them do too horrible narration, but I was never compelled to write a review on the horrible narration. 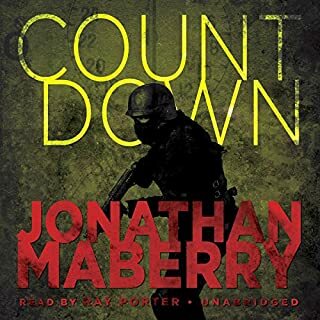 whenever I preview this book before I bought it the narrator's voice and everything sounded fine, though I suppose it wasn't enough to identify the lack of enthusiasm and non-narrative abilities this guy had. I would love to listen to this book again with a different narrator. I would probably give it 5 out of 5 stores all the way across and really enjoy it even with a mediocre narrator. Would you try another book from the authors and/or Gregory Zarcone? I really wanted to like this listen but just couldn't get into it. 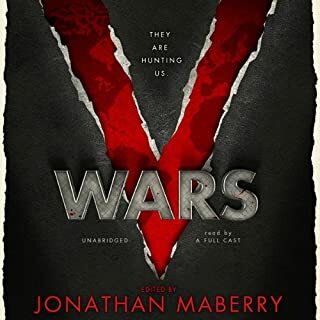 I expected more depth in character, plot and story - seemed like a group of stories all thrown together for a quick hit press, not what I expected from such quality writers. Also the narrator was weak - sounded like he wasn't really getting into it ether. Half hearted. What disappointed you about Limbus, Inc.? The narrator - I literally couldn't take it beyond about 20 minutes. I couldn't follow it because it was being read at a ridiculous rate of speed. What didn’t you like about Gregory Zarcone’s performance? The narrator was reading too fast with little or no inflection. It was awful. Disappointment that this narrator's performance was deemed acceptable. I'll be requesting a refund. I might. It wasn't a selection I would likely listen to again, though I don't regret buying it. One or two of the stories were pretty good. The rest weren't bad, but didn't really grab me. Would you be willing to try another one of Gregory Zarcone’s performances? Maybe. I don't think he was the right narrator for this selection. Do you think Limbus, Inc. needs a follow-up book? Why or why not? Yes. There is some real potential here with the shared world concept. If there is another, it needs to be read by a different narrator. Zarcone wasn't the best choice here. His performance with most of it was jarring in that his voice inflection doesn't change much. A scene describing dismemberment looses something when read in the same jaunty tone associated with a scene of comedic absurdity. This is an ok start to what could be a good shared world series. I found myself happy to start the book, but kind of ready for it to end too. I'm not entirely sure if my lukewarm reception to it came from the stories themselves (honestly, there were one or two I just couldn't get into) or if the narration injured it. I have no issue with Gregory Zarcone as a narrator, but I think he was a bad fit for a collection like this. 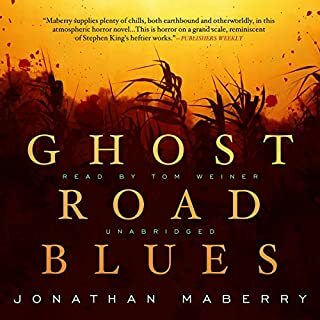 I'm not sure if I would recommend this audiobook as most of my friends have very different taste than myself. And this book is a bit of an acquired taste. What other book might you compare Limbus, Inc. to and why? I would say it sort of but not exactly reminded me of Stephen King's book Nightmares & Dreamscapes. Only in they both had multiple supernatural and sort of macabre style of short stories in them. 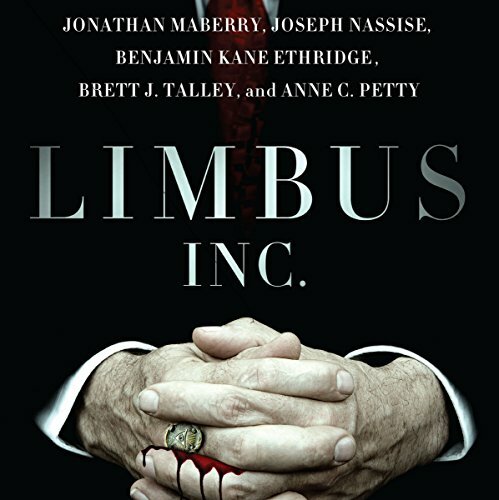 But Limbus, Inc. is different from Stephen King's book in the way that Limbus has all tied with one common story line... Limbus, Inc. Employment Agency. No. The narration was lacking. Within each story there were break indicators in the book to show that a shift of scenes was happening. At those breaks the narrator should have paused to indicate to the listener that we were now shifting to a new scene in the story. The narrator would read the last sentence in the last scene but not stopped at the period but rather just ran on to the next sentence that started the next scene. He read it all like it was a run on sentence; which was confusing to me the listener as I tried to listen as I was driving to my destination one afternoon. I had to pause the audio until I came to a stop so I can read the digital book I had of Limbus Inc. to make sense of it all. Because at one moment of the story the character is lying on the floor after making his great escape from the alien shop and the next in the same breath we hear that the character is talking about tasting fruit loops on his teeth and tongue. That left me all kinds of confused. At the end of the first story "Slaughter Man" when it's divulged that Slaughter Man wasn't going to have the fate he expected and that his sworn enemy was now going to be tasting crow. Plus I liked that it was finally divulged Slaughter Man's real name. The narrator Gregory Zarcone could take a page out of narrator Ann Marie Gideon's page. I listened to one of her books and she paused at every scene break long enough for me to know when we were now shifting from one scene to the next in the story. No run on sentence reading from her. 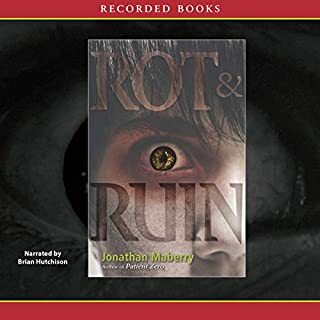 If I not had my Limbus Inc. digital book to read along with my audio I would spent a lot of time rewinding the audio and trying to make sense of what I just heard and then I would have blamed the author for his poor writing style, not knowing it was the narrator that had failed. My personal belief is this audio works best with the digital book so the listener can follow along best.